This holiday is always celebrated on 12 December. On this day people from all parts of Mexico make their way to Mexico’s chief religious center at the Basilica of the Virgen of Guadalupe, located in Villa de Guadalupe Hidalgo, a northern neighbourhood of Mexico City. There, they will celebrate the Nuestra Senora de Guadalupe (Our Lady of Guadalupe) with a mass ceremony and a traditional fair in her honor. The Dia de la Virgen de Guadalupe became an national holiday in 1859. 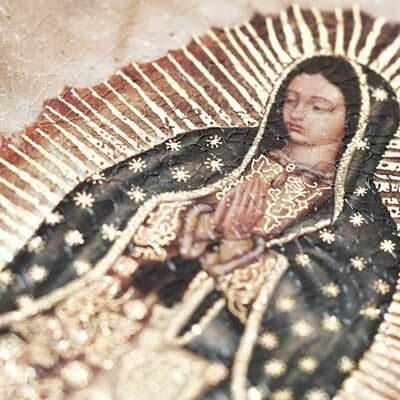 Today, tens of thousands of people travel to Mexico City to visit the place where the Virgin appeared to the Mexican People. The holiday is a national fiesta that includes traditional music and fun attractions. Pilgrims bring presents to the virgin, usually bouquets of flowers while other visitors will perform dances and song for her. Some pilgirms walk on their knees on the stone street leading to the Basilica, asking for miracles or giving thanks to the virgin for a petition granted.